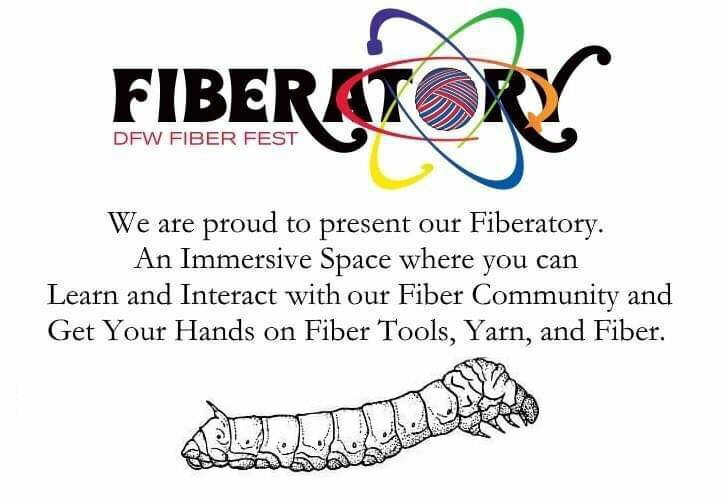 DFW Fiber Fest introduces our new mascot: Silky! Anybody who works with fiber knows it can come from many different places — many kinds of animals, several different plants, and even chemical laboratories. The cute smiling faces that we see as festival mascots, though, are almost always mammals - usually sheep, sometimes a bunny or an alpaca. 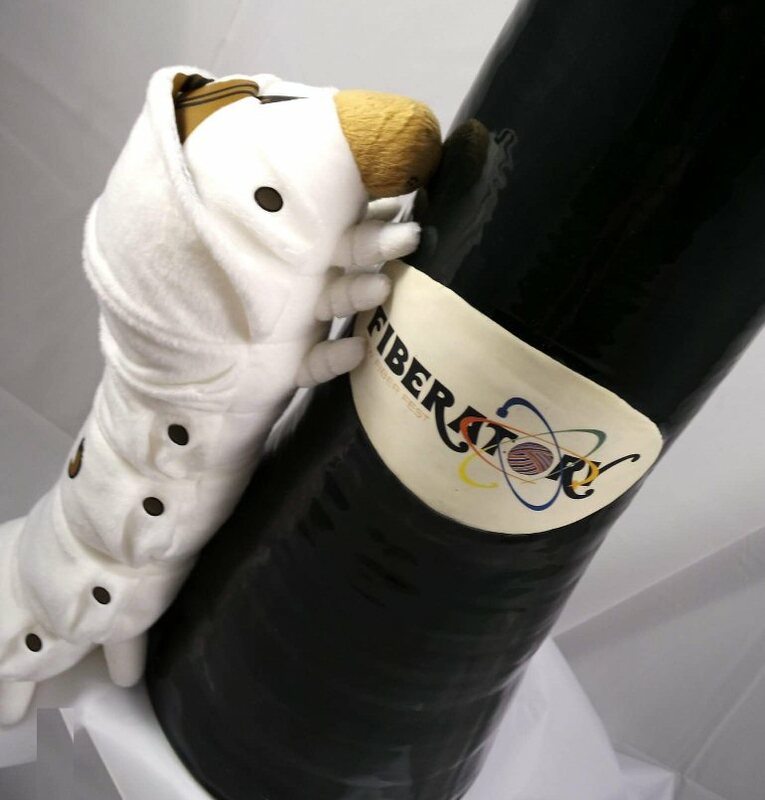 In Texas, we don't get to wear as much wool as our northern friends, and we've got lots of mulberry trees, so we decided to have a silkworm for our mascot! We proudly introduce to you: SILKY! Silky is a domesticated silk moth caterpillar, scientific name Bombyx mori. These hard-working insects have been creating fiber for humans to use for at least five thousand years, starting with their domestication in Asia. Silkworms start out as tiny eggs the size of poppy seeds, and increase their body mass 10,000 times over the course of a month before they spin their cocoons. Each cocoon is made from a single unbroken fiber, which can be up to 1500 yards in length. Silk yarn is stronger per weight than steel wire; it is soft, dyes easily, and has a luminosity and shine that no other yarn can match. 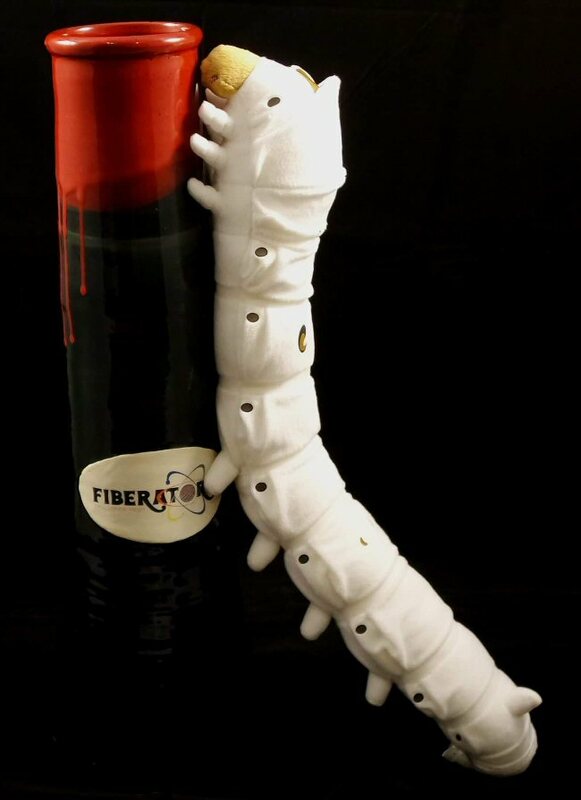 Live silkworms will be on display in our Fiberatory during the event, so you can learn more about the fascinating process of cultivating and harvesting silk. Our plush mascot was made by Strapya-world in Japan. It is "dekai" (huge) and also "kawaii" (cute)!